Two years ago on March 3, 2017, the Nintendo Switch was officially released worldwide. As of December 2018, more than 32 million units of Nintendo's latest console have been sold. The success of the Switch came after the flop of its predecessor, the Wii U. Throughout its lifetime, the Wii U was only able to sell over 13 million units. In the United States, the Nintendo Switch is the fastest selling console this generation. Super Smash Bros. Ultimate is a game heavily focused on offense despite bringing back defensive options from previous entries like directional air dodging which can lead to matches where it can feel nearly impossible to escape from pressure from fighters like Pichu or Inkling. Professional Smash Bros. player TGS|Captain L recently released a new video which details a different defensive option in Ultimate that can break away from many combos on the second frame when everything else fails, footstool jumps. Although Super Smash Bros. Ultimate is mostly played on a 2-dimensional plane, there are many 3-dimensional elements in the game. In other words, Super smash Bros. Ultimate — like previous entries in the series — is a 2.5D fighter. In the past, this has caused problems with certain characters avoiding hitboxes thanks to strange Z-axis shifting. This made Cloud a huge threat in Super Smash Bros. 4 as some of his aerials naturally dodged attacks, seemingly unintentionally. EVO 2019's main lineup was revealed recently. The featured games will be Tekken 7, Street Fighter 5: Arcade Edition, BlazBlue: Cross Tag Battle, Super Smash Bros. Ultimate, Dragon Ball FighterZ, Soul Calibur 6, Mortal Kombat 11, Samurai Shodown, and Under Night In-Birth. Although Super Smash Bros. Ultimate's inclusion was not surprising, many were confused as to why Super Smash Bros. Melee was excluded. Despite despite being nearly 18 years old, the game's entrant and stream numbers appeared to still be very strong. Recently, CLG|VoiD revealed his version 2.0.0 Super Smash Bros. Ultimate tier list. 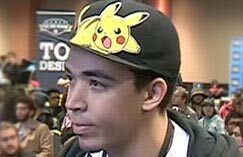 Although he was previously known for his accomplishments with Sheik in Super Smash Bros. 4, he's been pioneering Pichu in Ultimate at top level play. Although the highest grouped category — super top tier — is not in order, VoiD made a point to demonstrate that the leftmost characters are top tier because of their damage output. Meanwhile, those at the right have excellent neutrals. Daisy / Peach, Pichu, Wolf, Olimar, Inkling, and Lucina can be found in this tier. Characters like Wario, Greninja, Young Link, Pikachu, Ike, Palutena, Snake, Link, Zero Suit, Samus, Pokémon Trainer, and more are found in the top tier category. Notably, it appears that Roy (and his Echo Fighter, Chrom) is also here but VoiD placed him in the mid tier section as a meme. Surprisingly, VoiD appears to think fairly high of PAC-MAN, Ganondorf, Incineroar, and Piranha Plant as he places them in high tier. Most top level competitors have not been as impressed with these fighters as VoiD thus far. Unfortunately for fans of King K. Rool, Isabelle, Ryu, Kirby, Duck Hunt, Bowser Jr., and others, a common theme among the pros seems to suggest that these characters will struggle at tournaments. Remember that Roy's placement is "just a meme" as the character's actual position is more likely to be in the "top tier" category. Characters are arranged in the super top tier, top tier, high tier, mid tier, "not so this tier" (low tier), and "this tier" (bottom tier). We're still recovering from all of the incredible Super Smash Bros. Ultimate action seen over the weekend at Frostbite 2019. Extremely close sets, amazing comebacks, and off-the-charts hype levels were the norm at this major Smash Bros. Ultimate event, and unbelievable moments continue to sprout up that might have gone missed over the course of the three days of tournament play. During the Super Smash Bros. Ultimate top 8 last night we saw a rematch between SST|Shuton and AR|Myran — two Olimar players. In a surprise turn of events, Shuton brought out Richter in their losers semi-finals bout and pulled off one of the most impressive plays I've ever witnessed in Super Smash Bros. Ultimate. With the score at 2-2 in the three-out-of-five set and both players with two stocks left, Myran tacked on the damage bringing Shuton's percentage to 141% and knocking him off of the stage. The Richter player recovered only to be knocked even further off of the platform by Olimar. To maintain offensive pressure, Myran tossed a red Pikmin at Shuton — who was facing a certain KO due to how far away from the stage he was and Richter's recovery options. To the shock and surprise of everyone watching, Shuton struck the Pikmin with Richter's down air, which sees the Castlevania character bounce forward off of the target and put him in range to properly recover and survive. All at once, the crowd, commentators, and stream chat went nuts as Shuton not only made it back to the stage with a whopping 158%, but retained his stock and turned the tables on Myran with his own offensive pressure. To have enough awareness and skill to properly execute that in a real match — let alone in top 4 of a major Super Smash Bros. Ultimate tournament — is nothing short of incredible, and Shuton being an Olimar player himself likely helped him align everything perfectly here for a moment we won't soon forget. All I can think about right now is the fact that if Shuton was just a little bit off with his timing, Richter would have quickly spiked himself with that down air kick. The Smash fan base watches high tier events such as this one not only with excitement to discover who wins the competition, but also the new tricks they might pull from their pocket. With a game still so young, we're still regularly seeing new tech and surprising sequences emerge. The Super Smash Bros. action at Frostbite 2019 has come to a close after a long weekend of intense battles, but they hype doesn't have to die down quite yet. We've been watching all weekend long, and have collected some of our favorite moments to share with you now that the dust has settled. Once you've looked through our collection here, please let us know which moment in the comments was your particular favorite. If it was a highlight that didn't make our list, that's great, please link it so we can see. We kick off our showcase with Marss' Zero Suit Samus. Marss starts this clip down 3-2 to his foe and already at nearly 100% damage, but handles the ensuing scuffle perfectly and turns things around in a very stylish fashion. Update: This story has been updated with final results. Check out our favorite Smash Ultimate moments here. Frostbite is back again in 2019, and it's happening in Detroit, Michigan. This is an event focused on just two games — Super Smash Bros. Ultimate and Rivals of Aether. Despite only hosting these two titles, there are almost 1300 entrants, so it's a loaded three-day event that will be filled to the brim with action. Besides the regular competitions, there will be Doubles events for both games as well. Some of the notable fighters attending the event are FOX|MKLeo, TSM|Tweek, NRG|Nairo, Dabuz, Liquid|Salem, EMG|Tamim, PG|Cosmos, BC|Mr. R, eU|Samsora, R2G|Kameme, CaptainZack, CLG|VoiD, Komorikiri, Larry Lurr, SNB|Abadango, ESE|Fatality, FOX|Mew2King, PG|Plup and of course many, many more. Streaming is being done at MVG League, Unrivaled Tournaments and Gooshi Gaming. Featuring a starting roster of over 70 characters, 100 stages and roughly 900 tracks, Super Smash Bros. Ultimate is a tour de force from right out of the starting gate. With this much content it's not all that hard to imagine that there's plenty in the way of secrets and trivia facts that isn't all that well known to the general public. Luckily DidYouKnowGaming? has paired up with Scott The Woz to fill us in on quite of few of these details that have fallen through the cracks. The very fact that Castlevania characters Simon and Richter Belmont made it onto Ultimate's roster was huge for the gaming community, but it turns out that Adrian Fahrenheit Țepeș, better known as Alucard, was originally a candidate as well. The reason Al didn't ultimately make the cut? Unlike Simon and Richter, he does not use a whip in his arsenal against the undead. Creator Masahiro Sakurai thought that the Castlevania character(s) he featured should have the iconic weapon because of how known it is in the vampire hunting franchise. This is just one of many, many tidbits and factoids you'll get from watching the latest from DidYouKnowGaming?, so continue on to the video below and let us know what you learned in the comments. With Piranha Plant now being tournament legal, Super Smash Bros. Ultimate has a whopping 75 characters to choose from, and many of them have seen strong competitive support in its first few months since release. Finals day at Frostbite 2019 is now underway where the top Smash players from around the world are whittling their way down from 48 players until only one is left to stand alone at the top of the bracket. We've collected the character usage statistics for the event's top 64 players — as of 9:45 a.m. PST — where we've noticed a few interesting details regarding who is and isn't being played in the upper part of the singles tournament. Pichu and Palutena's popularity appears to be on the rise still as they represent the two most used characters of the weekend thanks to their power they come packing with and the results they've put up so far — though Wolf, Peach and Fox aren't too far behind. This may also be the least diverse bracket for character choice for 64 players as 40 of Smash Ultimate's 75 fighters have yet to make an appearance in the upper part of the tournament. Those left out include all three versions of Link, Piranha Plant. Cloud and the Belmonts among many others. Olimar and Ike are also having themselves a good weekend with multiple representatives still in the bracket as of writing this article. You can check out the full breakdown of character usage statistics at Frostbite after the jump. Sometimes victory comes when you absolutely least expect it. So was the case for Advo and his Mr. Game and Watch at Super Smash Bros. Ultimate major tournament Frostbite 2019. During round 2 of pools at the event in Detroit, Michigan, Advo took on Demise|ZD in an incredibly intense match up. The former mostly stuck with Dark Samus for the entirety of the set, while the latter switched between Fox and Wolf. In the fourth game, Advo brought out Mr. Game and Watch when things weren't looking too great for him. ZD sat two games up to one in the three-out-of-five set, and Advo found himself in the frightening situation of being on his last stock versus his opponent's two stocks and the damage racking up. Advo managed to take another stock, but with his percentage at 79% any single hard hit could have been the end. After a scramble at the ledge, ZD hit a down Smash that scored the freeze frame — which usually signifies a KO. Using DI (directional influence), Advo clung to life. The Game and Watch player recovered to the right of the stage, and upon coming back up used his bucket special move — and attack that tosses a pile of gunk at the opponent if he manages to absorb projectiles during the match. It turned out that Advo had actually captured and saved the only three lasers ZD had fired in that entire game, which was crucial to the win. A fully stocked bucket from Game and Watch deals a lot of damage, and this unbelievable shot was able to KO Wolf even though he only had 47% when it struck him. A new day more than likely means a new Super Smash Bros. Ultimate tier list, and today we're bringing you the thoughts and feelings of Japanese Smasher SNB|Abadango as he orders the Ultimate roster here in the 2.0.0 version of the game. 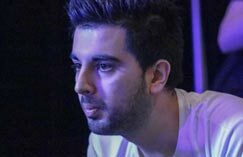 Tier lists have been a very hot subject since Ultimate's release back in December, and recently we've seen players such as GRV|Dabuz, ANTi and TSM|Leffen offer their thoughts and opinions on the game's roster under the current balance. It's important to note here that Abadango's chart does not imply any horizontal significance. This means the characters are not specifically ordered within each category, and so just because they are the first or last to appear does not necessarily mean they are better or worse than the others in their same category. We won't spoil too much here, but we'd be remiss if we didn't point out one particular note from this assessment we found especially interesting. Abadango primarily uses Inkling, a character widely regarded to be amongst the game's best, as his main. While almost every other tier list we've seen places her in the highest division, Abadango has her in the second to highest. Those of you who would like to cut right to the chase can see the full list simply by clicking the thumbnail here. Japanese speakers can continue on to view the video below wherein the competitive Smasher explains some of the finer details behind his choices. Reggie Fils-Aime has served as the Western face of Nintendo for well over a decade, and through a handful of console generations, as the President and Chief Operating Officer of Nintendo of America. He'd appear during the company's E3 presentations and Directs with a certain charisma around him along with some awkward jokes, and we also got to know him through his direct outreach to the gaming communities. Earlier today, Fils-Aime announced that he will be retiring from his position at Nintendo in April after 15 years on the job and will fittingly be replaced by his mentee, Doug Bowser. The news surprised the gaming sphere as a whole, and now players, tournament organizers and even hardware manufacturers are coming out to express their gratitude and personal memories with Reggie. Nintendo hasn't always had the best relationship with the competitive Super Smash Bros. scene, especially after attempting to shut down Melee's stream at EVO 2013, but they have made strives to rebuild those bridges with many Smash greats coming out in support of Fils-Aime including Tempo|ZeRo, TSM|Leffen, NRG|Nairo and PG|ESAM. Liquid|Hungrybox also came out to thank Reggie and said he'll take the president up on his offer by applying to Nintendo of America the day he retires from professional gaming. Bear offered up a more humorous take on Reggie's departure joking that he's leaving to practice Smash Ultimate to 'kick everyone's asses' as he promised after the Smash 4 invitational. Below you can check out everyone's emotional reactions and thank you's to Fils-Aime from the community including LU|Alex Valle, MarkMan, D1, Hit Box, Rise|MenaRD, and EventHubs' own DreamKing. It has been announced that Reggie Fils-Aime, Nintendo of America's president and chief operating officer, is retiring. His last day will be April 15, 2019. For 15 years, Fils-Aime worked for Nintendo. In just two years, he became Nintendo of America's president and COO for the remaining 13 years. "Nintendo owns a part of my heart forever,” Fils-Aime said. "It's a part that is filled with gratitude — for the incredibly talented people I’ve worked with, for the opportunity to represent such a wonderful brand, and most of all, to feel like a member of the world’s most positive and enduring gamer community. As I look forward to departing in both good health and good humor, this is not 'game over' for me, but instead 'leveling up' to more time with my wife, family and friends." In his place, Doug Bowser has been named as his replacement. Until April, Doug Bowser is Nintendo of America's Senior Vice President of Sales and Marketing. Bowser has been working under and mentored by Fils-Aime for four years now. In his statement, he is confident in being able to continue his teacher's work. "It has been my great fortune to work with and be mentored by Reggie for four years at Nintendo of America," said Bowser in the press release. "And rest assured, we will continue to build on his work to evolve and expand our brand, furthering Nintendo’s global mission of creating smiles. There are millions more of those to come."